Fill out the simple Quick Quote form above. 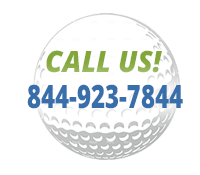 A sales rep will get in touch with you promptly to explain how hole-in-one insurance works, provide pricing information, and help you refine the details of your golf event. Ready to submit your full application? After you have spoken with our Director of Sales about your event, you may use the form below to register. Please feel free to contact us if you have any questions. Professional golfers (non-amateur status according to USGA guidelines) and touring professionals are not eligible unless declared prior to the event. Please list hole number, yardage, and prize value for EACH of your main prizes. Please call us if your event has more than 4 prizes. Upload the sponsor logo here. Allowed file types: jpg jpeg eps pdf. REMEMBER: Failure to return your contract at least 72 hours prior to the start of your event date may invalidate your contract. Review all terms and conditions of the contract with the Director of Sales.